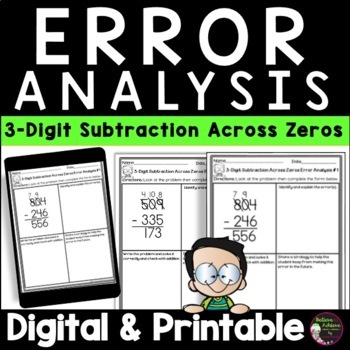 Encourage higher level thinking by letting your students practice 3-Digit Subtraction Across ZEROS with finding the errors and explaining their thinking! 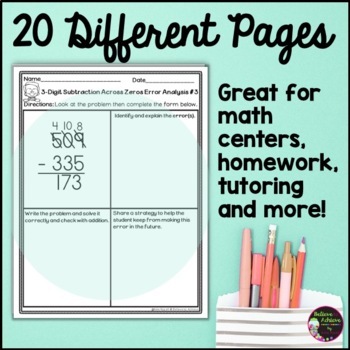 Each page has a 3-digit subtraction across zeros problem. There are 20 pages of practice! 1. 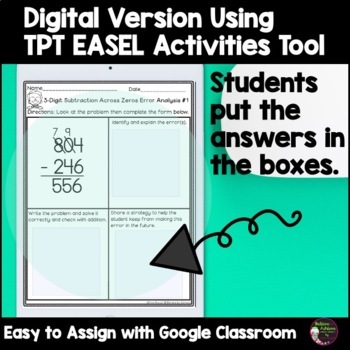 Students look at the problem and find the error(s). 2. Identify and explain the error(s). 3. Write the problem and solve it correctly and check with addition. 4. Share a strategy to help the student keep from making this error in the future.